The Worldwide Universities Network (WUN) was established in 2000 with the University of Southampton as a founding member and remains one of the University’s key vehicles of internationalisation. The network enables Southampton to maintain and enhance the position as a world-leading research university, supporting innovative, multidisciplinary research that addresses global challenges. 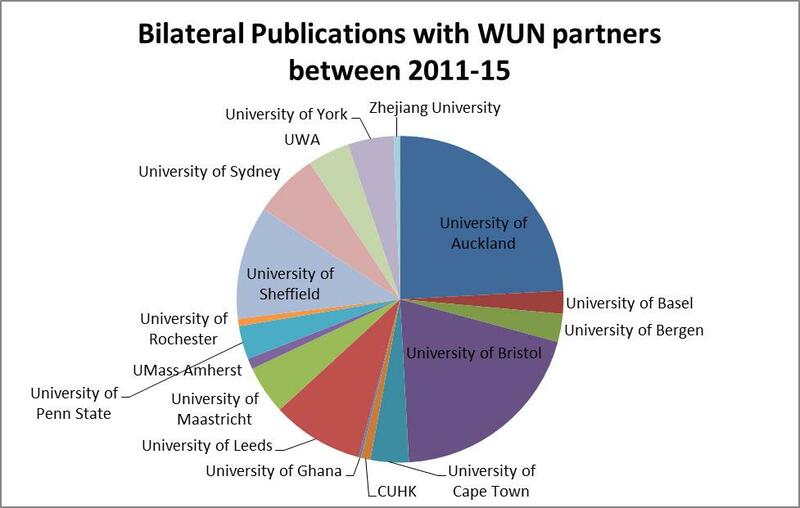 The WUN creates new, multilateral opportunities for international collaboration in research and graduate education. It is a flexible, dynamic organisation that uses the combined resources and intellectual power of its membership to achieve collective international objectives and to stretch international ambitions. Staff and students across the University are encouraged to participate in WUN’s broad and innovative portfolio of activities. WUN supports a diverse range of research activities across all the disciplines and particularly encourages projects of an interdisciplinary nature. Information on the wide range of current WUN research collaborations can be found on the WUN website. Joint research activity enables members to develop critical mass and competitive advantage and deliver research programmes of greater scale and scope than could effectively be delivered by individual institutions. The WUN helps new research groups get established internationally by providing resources, contacts and advice. By helping to share talent across the different WUN members, we are able to encourage new research growth that will help address the challenges of tomorrow. If you would like to get involved in a WUN collaboration or if you have a project or idea which might be able to make use of the WUN network, please contact the Southampton International Partnerships Manager. For further information about seedcorn funding opportunities to support international research at the University please go to the WUN funding pages. WUN Global Challenges are collections of high quality WUN collaborative research programmes – each involving a number of WUN and other world-leading academic partners in the programme area – which are expected to contribute significantly – in the short or longer term – to addressing the issues of global significance identified in the Challenges. WUN offers innovative opportunities for graduate student and staff exchanges. Gaining experience of working in different research and work cultures, establishing new contacts and enabling access to international programmes are some of the benefits to participants. Many WUN collaborations include activities that produce resources for use in teaching or which provide early stage researchers with opportunities to develop presentation skills. Different research communities share modules on Masters degrees, develop archives of virtual seminars for use in teaching and postgraduate research, as well as providing virtual Master classes and organising international summer schools. Many WUN projects are supported by virtual seminar series which allow early career researchers and masters students access to world class research at the same time as facilitating faculty collaboration and research community building. An excellent example of these activities at Southampton is the joint online masters in GIS involving Southampton geographers collaborating with the University of Leeds. The University of Southampton’s participation in WUN is overseen by a local Steering Group chaired by the Vice-Chancellor and including the PVC International, Director of the Students Recruitment and International Relations Office and the International Partnerships Manager. The Vice-Chancellor sits on the WUN Partnership Board as a director of the WUN Foundation alongside the other international member Vice-Chancellors, Presidents and Rectors. The PVC International sits on the WUN Academic Advisory Group, which sets academic priorities on behalf of the Network. The International Partnerships Manager acts as the local contact for WUN at Southampton and sits on the WUN Coordinator Group.